Zheng, along with Prof. Mike Dixon and PhD student Deron Caplan, investigated optimal fertilizer rates and soilless growing substrates required to grow cannabis plants with higher amounts of medicinal components and greater yield. The study, which was funded in part by the Natural Sciences and Engineering Research Council of Canada, was published recently in the journal HortScience. “The University of Guelph is one of the top universities in the world for horticulture research, particularly for controlled environment plant production,” said Zheng, who holds the environmental horticulture chair in the School of Environmental Sciences. 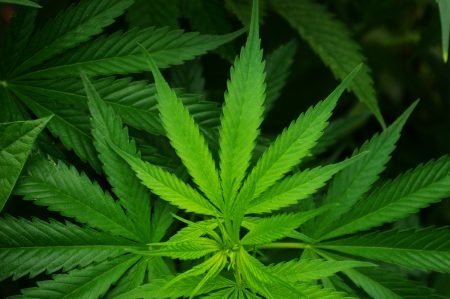 The University has studied medicinal cannabis production for scientific purposes for several years, Zheng said. Recent proposed legislation means more licensed growers are seeking expertise, he added. The newly published study focuses on plant performance during the vegetative stage. The researchers determined the optimal amount of fertilizer and developed two soilless growing substrate recipes to produce high-yielding plants rich in cannabidiol and THC – the two primary medicinal components. A second paper, soon to appear in HortScience, examines ideal fertilizer rates and growth substrate conditions for flowering plants. The team is now studying lighting and irrigation to grow high-yielding, quality cannabis.